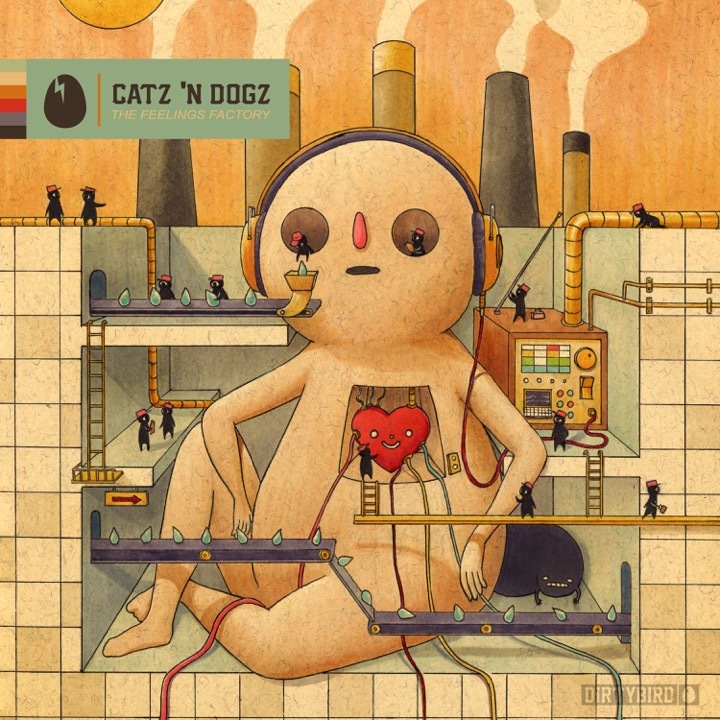 Catz ’N Dogz are some of our oldest extended Dirtybird Family, spanning multiple EPs, a couple albums, some remixes, and we even presented their very first release as ‘Catz 'N Dogz’ as they transitioned from their old 3 Channels alias in 2007. It's been over 4 years since they've been on the label, and we're ecstatic to have them back with "The Feelings Factory". "Fine Feeling" features the legendary vocalist Robert Owens, and sounds like a classic deep house track from the late 90's when no one called it deep house, they just danced to it all night in warehouses. "Factory Settings" includes additional production from London's Joseph Ashworth, and from the first note to the last its filled with driving intensity and an ascending cacophony of rhythms and voices.